To store in the fridge or not? That's the question most of us ask about several common kitchen items, or leftovers. Don't feel foolish if you frequently wind up stumped — so do the rest of us! Whether part of a gift basket, or purchased for a cocktail party, all unopened salamis and related versions can be stored at room temperature. Once you've opened them, store them in the fridge, as they're susceptible to bacteria and mold from the cut end, even if most of it remains wrapped. An open can of frosting needs to go in your fridge. Unopened, it's fine in your pantry, but once you've used it, it's prone to spoilage and bacterial contamination. Traditional peanut butters like Jif or Skippy are processed for a long shelf life, even after opening. And any additives used to stabilize the products are FDA approved, and have used safely for decades. Sometimes referred to as "natural" peanut butter, this version of peanut butter is only ground peanuts, and nothing else. It's best to refrigerate because the oils can become rancid and spoiled when left at room temperature for weeks. To soften, remove from the fridge 30 - 60 minutes prior to using. All oil can become rancid when stored at room temperature for too long. This is particularly true for oils used less often, including coconut, sesame and walnut oils. To ensure freshness, store in the fridge. Coconut oil is already a solid fat at room temperature. Sesame and walnut oils become solid in the refrigerator, but return to a liquid at room temperature without a change in taste or texture. If you're looking for optimal taste and aroma from your morning joe, keep the beans at room temperature. Coffee beans can pick up moisture from the fridge, and compromise flavor (but it doesn’t alter the caffeine content). Hot sauces are generally a mixture of vinegar, hot peppers and seasonings. Because vinegar is a mild acid, these sauces can be stored at room temp without spoilage. If you choose to store it in the fridge, warm to room temperature for optimal flavor before using. 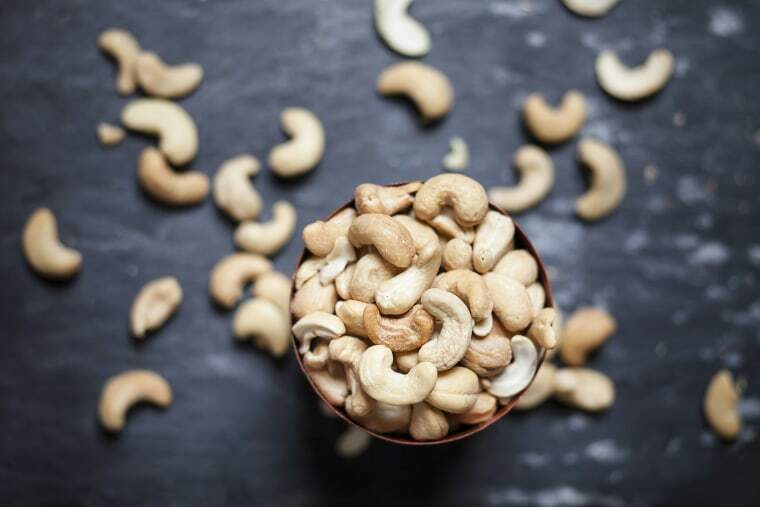 Nuts contain heart healthy oils that can become rancid when stored too long at room temperature, especially in a warm kitchen. Store your leftover nuts in a sealed bag in the refrigerator. For longer term storage, wrap carefully and store in the freezer for several months. All vinegars — plain and specialty types like balsamic or tarragon — are stable at room temperature. Vinegar is a mild acid which deters bacterial growth. As a dairy product, butter must be stored in the fridge to prevent spoilage. While "butter crocks" can be a good idea for short term storage of several hours, for longer storage without spoilage, keep it in the fridge. Madelyn Fernstrom, Ph.D., is the Diet and Nutrition editor for TODAY. Fernstrom is a professor of psychiatry, epidemiology and surgery at the University of Pittsburgh Medical Center and a board certified nutrition specialist from the American College of Nutrition. She is the founding director of the UPMC Weight Management Center.